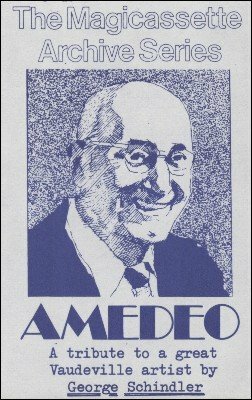 When George Schindler wrote his book "Amedeo's Continental Magic" he used his tape recorder frequently to capture some of the remarkable Amedeo story. On this recording George introduces Amedeo and we then hear Amedeo himself talking about his life and times in working for over 65 years in more than 23 countries. In 1972 the New York Society of Magicians named Amedeo as "Magician of the Year." Here is your opportunity to hear him talking about some of his experiences.